Come cook great BBQ shoulder-to-shoulder with us. Our class was designed by Grand Championship Pros with years of experience competing, instructing and catering BBQ events. Benefit from their triumphs and failures over decades experimenting on dozens of pits and hundreds of recipes. 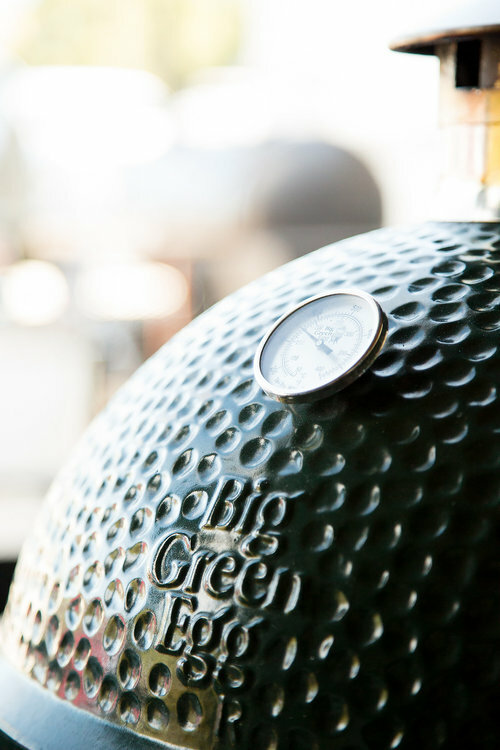 Whether you are a great BBQ cook or just a wanna-be, this is the class for you. "If you are just starting out in BBQ, want to get better at all bbq and not just the 4 competition meats you need to sign up for the the Southern Thunder BBQ Cooking School. It is about the most intensive and comprehensive school I have seen for the non-competition cook. Most of these schools teach you how to cook like the celebrity but they do very little to teach you in the methodology of cooking and explaining the why and how. When I heard "you cook to a color before you wrap" and "we don’t do that, its folklore and not backed by science" I wanted to immediately stand up and start clapping. These guys are not just repeating and perpetuating the latest trend or BBQ myth. They only talk about bare knuckles tactics that make you better at cooking no matter what cooker you use. It is more hands-on than any school I have ever seen. It is fast paced no non-sense and what you need to know. Needless to say, I was impressed and now include this as 1 of 2 schools I would wholeheartedly recommend without any reservation. In fact, I'll go so far to say this....I wish every person who bought a new grill went to this school either first or shortly thereafter....it's just that good." Our instruction method is hands-on so don’t expect to just sit an watch us cook. When you arrive we will put an apron on you, hand you a knife and our step-by-step manual, and then show you how to prepare a 14lb whole brisket. You will then go to a lab table where you and your teammates, with a lab assistant, will prepare your own brisket and take it to one of our smokers. Then you will do the same with pork butts, ribs, chicken, pork loin, and what ever else we feel like cooking that day. At 5:00 P.M. you will help us prepare our day’s work for a delicious banquet at 6:00P.M . Invite a guest or take some home. In all, expect to cook over 200 lbs of meat shoulder-to-shoulder with us Pro’s. Guarantee you will have a lot of fun and probably make some new friends. Our collection of smokers in now in the double digits. You will learn the physics inside each smoker, how to control pit temperature, and learn the differences in ceramic, metal, vertical, horizontal, offset, pellet, insulated and non-insulated (to name a few). We own nearly every popular smoker on the market and we can help you pick the smoker that best fits your needs. Price to enroll starts at $299 for an individual. When you sign up with a friend or relative price drops to $249 each! You will receive ten hours of hands-on instruction, four meals, a step-by-step manual, and an apron you can wear proudly while you cook delicious BBQ. You can't find a better value, we guarantee. In fact, if you're not satisfied for any reason we will give you your money back or let you take the class again for free.